I mean, it’s not good. It’s not terrible, but it’s not good. Emma Watson really isn’t a strong singer. She’s trying, but she just doesn’t have the voice to pull off the role. Maybe watching her is better (I doubt it – I’ve never found her acting to be terribly strong, she has her moments and she’s not terrible by any means, but she’s also not great either). From the moment Watson starts singing, you can hear the autotune. I normally am not a person to even notice autotune (supposedly lots of things have been autotuned, and I rarely hear it), but Watson’s autotune was painfully noticeable from the first word. And it took me right out. Yeah, she looks the part of Belle and she’s star power, but she can’t sing the part of Belle. And that’s important. 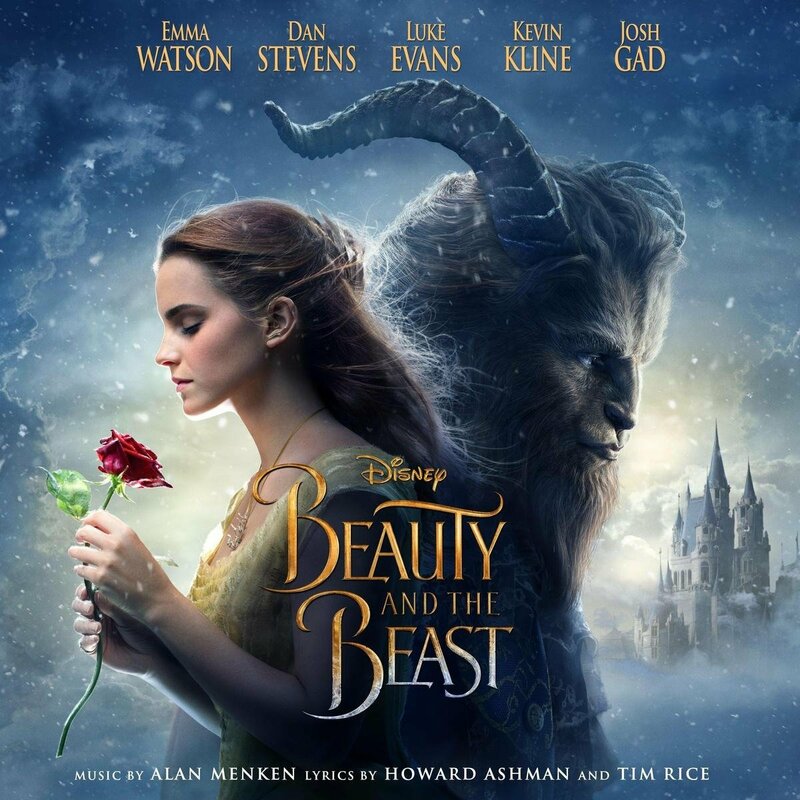 Similarly, Dan Stevens isn’t all that good as the Beast on the soundtrack either. He’s not bad, but he’s not good. Luke Evans and Josh Gad are pretty okay as Gaston and LeFou, respectively. Ewan McGregor and Emma Thompson are fairly good as Lumiere and Mrs. Potts. And the rest of the cast does a reasonably good job. Nowhere near as good as the original, or any of the professional stage versions, but serviceable. The biggest injustice this soundtrack does is how it utilizes Audra McDonald. Why on Earth would you cast Audra McDonald – National Treasure, Singer Extraordinaire, Multiple Tony Award-Winner -in your movie and then use her for a magical two minutes? She’s the best singer on the album by a mile and she’s in next to none of the songs. Why? I mean if you’re gonna cast mediocre singers throughout the rest of your cast, you can’t have an amazing singer in such a bit role. It just makes everyone else look even worse by comparison. Alan Menken’s orchestrations are wonderful, as always. As is the sound mixing, for the most part. Some of the newer songs are forgettable, but I understand the need to pad the movie out. It’s the same reason the Broadway version was padded out (although I don’t understand why they didn’t just use those songs, or adapt the stage version instead of making a carbon copy of the original with some additions (according to reviewers who have seen the movie)). But at least the Broadway version used a mixture of songs originally intended for use in the animated film and some actually good and memorable new ones. Overall, there’s just nothing here that makes me feel like this soundtrack has a reason existing. There’s no improvement over the original; none of the additions are particularly good or memorable, most of the cast is serviceable at best; the leads aren’t even serviceable, really; and it just pales in comparison to both the Broadway version and the original movie. The only really good thing about this soundtrack was that it made me remember how much I liked the original soundtrack and the Broadway soundtrack. And for the soundtrack of a movie-musical, that’s bad news bears.